JUST ADDED: Joseph Culp, actor and son of Robert Culp, will join us IN PERSON, schedule permitting, on Sunday, April 23, to discuss his father’s enduring film legacy. It’s pure Culp Fiction when a girl who might hold more than key information from the Federal Reserve robbery goes missing, and the private detective team of Hickey & Boggs are hired by a somewhat nefarious character to locate her. 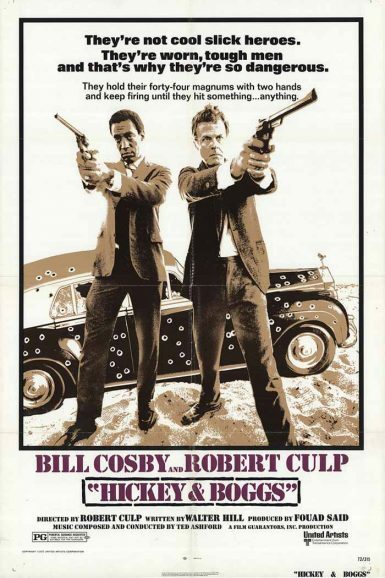 Robert Culp (Frank Boggs) and Bill Cosby (Al Hickey) reprise their I Spy chemistry in Culp’s one-off-directorial effort, as a trail of bodies turns sunny Los Angeles into a dark and gritty, bullet riddled, 70’s noir gem. Often imitated screenwriter Walter Hill debuts his mastery for action sequences and proficiency for dialogue, anchored in a plot that has the pavement sinking beneath the private dicks feet. Culp mailed us a 1972 post card of Los Angeles that isn’t sold on Hollywood Blvd, but is a must see for crime drama aficionados. Kim Morgan discusses Hickey & Boggs on the New Beverly blog. A horrific head trip from director Bernard Girard! 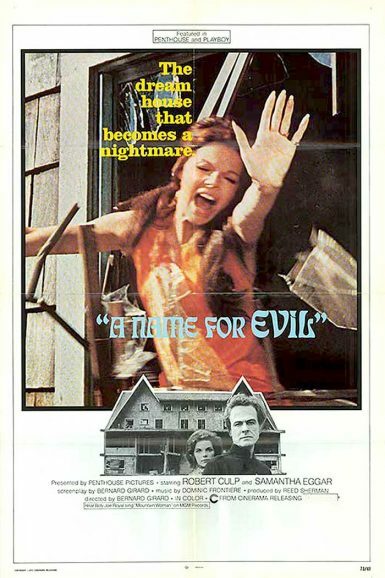 As their marriage begins to crumble, an architect and his wife (Robert Culp & Samantha Eggar) trade the rigours of the big city for a quiet life at his family’s dilapidated country mansion. As they try to fix their relationship and patch up their new place, a mysterious force warns they are not welcome, turning their dream home into a chilling nightmare. A surreal and psychedelic oddity, A Name For Evil plays out as a fragmented fantasy – haunting & strange – a film that could have only been made in the freewheelin’, drug-dazed ‘70s. Featuring an excellent location, LSD-drenched vibes and a daring performance from Culp that literally bares it all. Marc Edward Heuck discusses A Name For Evil on the New Beverly blog.